"Myy" Dinetten Grand Farinja EX1 BOB-Veteran! 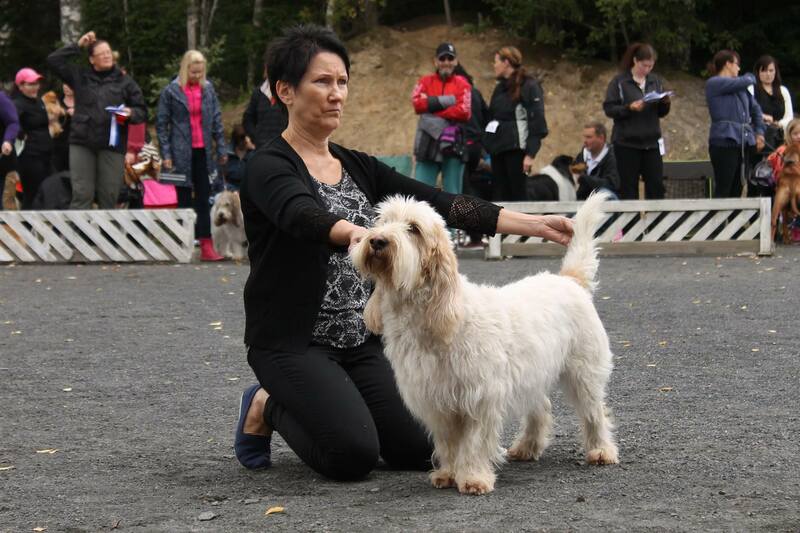 This was Myy´s first show at veteran class. Pictures Jaana Honkanen, Thank you! And we almost forgot to change classes for GGV´s because they are already champions... 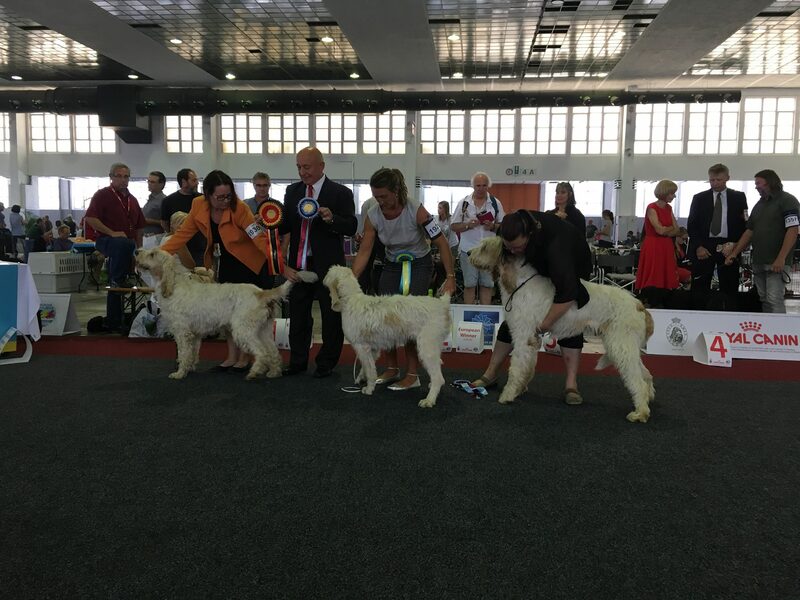 This show was a good training for our next show at Brussels. 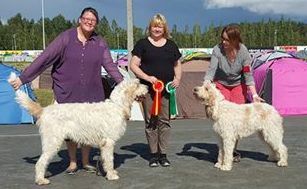 5-7.8.2016 Kuopio Mission accomplished. 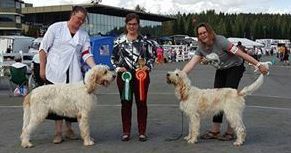 3 Internationa Dog Shows at Kuopio "Sawo Show" is behind. 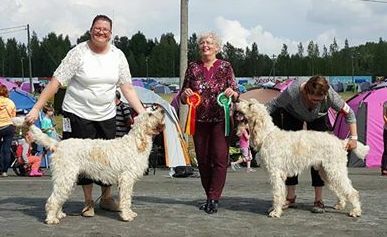 judges (friday) Mrs Kirsi Nieminen, FI, (saturday) Mrs Tuula Savolainen, FI and Mrs Mari Lackman, FI. Oranjee! "T´s First Stolen Kiss become new Finnish Champions! 15.7.2016 Today ends one era in our house in Hurttala. There is no sighthound around us now. One of the sadest days ever. Our last IW Rilla, was put to sleep this morning. She has had epileptic seizures less than a year now, once or twice in month. But yesterday there was 3 in one day and she wasn´t recovering well enough, so we had to make decision, hard but necessary. Thank you Jari and Leena this amazing girl. She was the one who taught us so many new things in life! The trip was awesome! 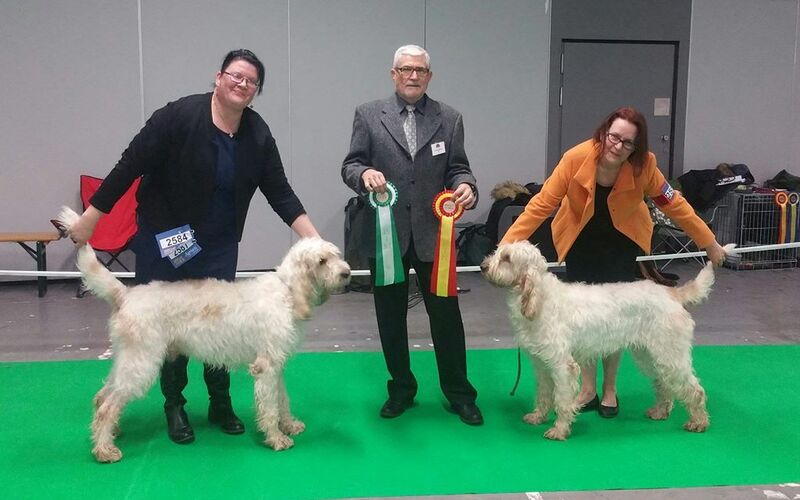 And the winner´s are beautyful! Thank you Vera for taking such care of Enska! Maxima BOB with CAC and Cacib!!! And a brand new Norvegian Champion and it is already confirmed. PaSi EX1 CAC, Cacib and BOS. Impi EX1 cq CAC and BOB!!! 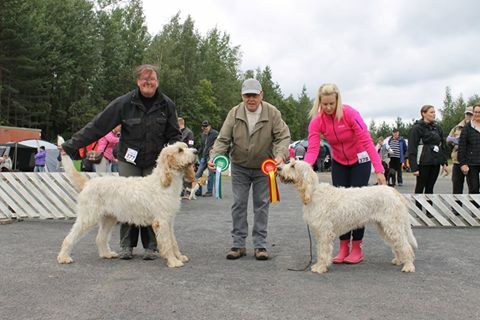 GGV Timberman´s First Secret Kiss "Hippu" BEST OF BREED over 115 other GGV´s!!! , owner Eric Thivillier. Fille d´Hollande v.d. 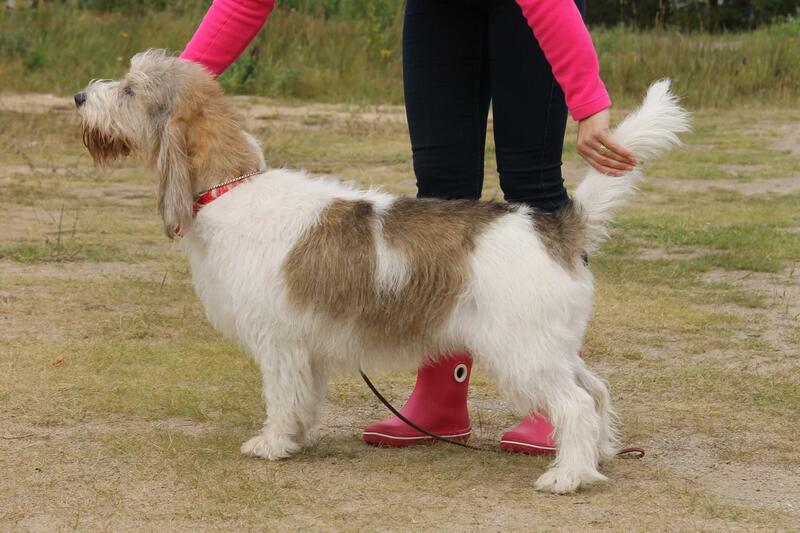 Viersenhoeve "Maxima" Best in Show Working dog! 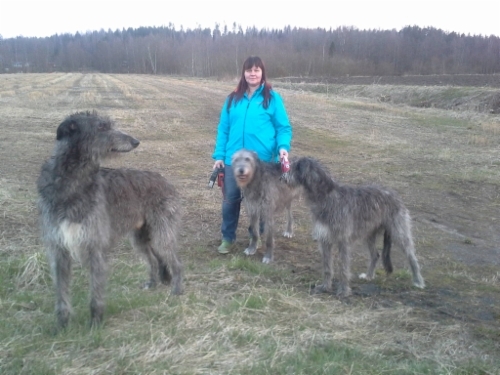 30.4.-1.5.2016 Whippet Coursings in Mustiala Tammela. Sarri was judging there whole weekend. Thanks Mia for bringing B&B&Nanu to see us. Lure Coursing year has started. 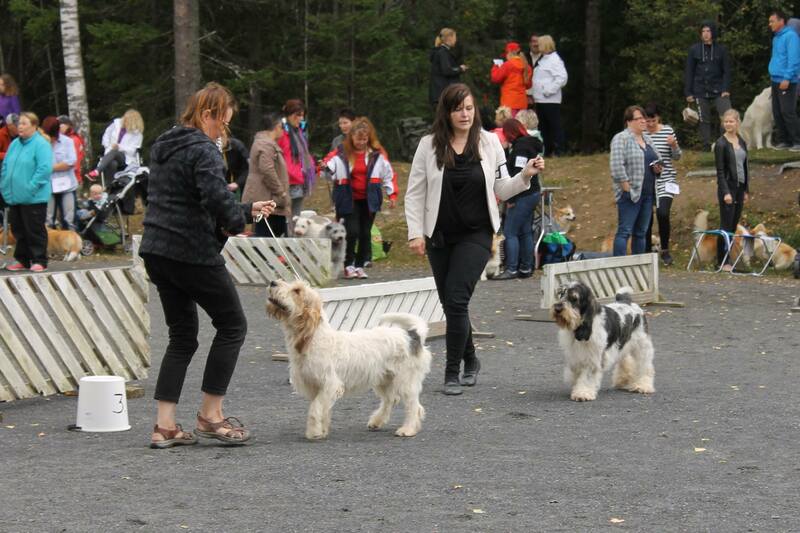 Sarri was judging in Selänpää last week end and Riikka participated in annual meeting of Drevers (bassets have their working tests under Drever rules).